The cables and connectors found in wind turbines have to endure demanding conditions—from excessive flexing to lightning strikes. 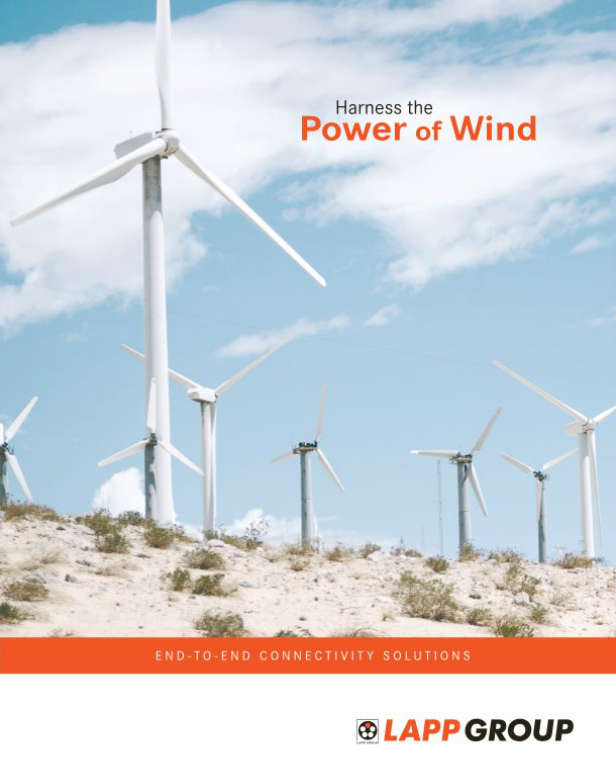 That's why we design our wind turbine tray cables, flexible control cables, industrial connectors and custom cable assemblies to withstand a variety of harsh environmental factors, including humidity, vibration, extreme temperatures, oil exposure, electromagnetic interference and more. This durability ensures all aspects of your wind turbine, from the pitch system to the yaw drive, run smoothly with minimal downtime. What's more—our cables are subjected to stringent tests and are compliant with several UL, CSA and LAPP wind industry standards. Multi-conductor cable with the highest oil, coolant and solvent resistant PVC jacket. Industrial grade cable with superior oil performance for long cable life. Engineered for the highest performance & ease of installation in industrial signal and control applications. Designed to provide reliable network communication in Torsion Flexing applications. A flexible, non-metallic corrugated conduit ideal for automation application.